Our skin needs love, too! 1. 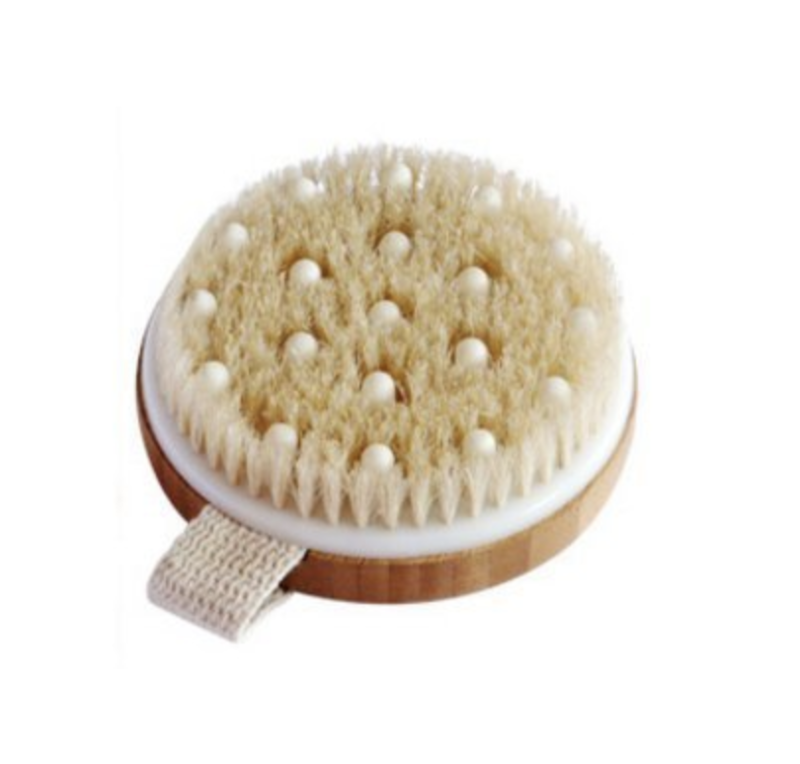 A body brush to use wet or dry to stimulate circulation and help rejuvenate skin cells. 2. 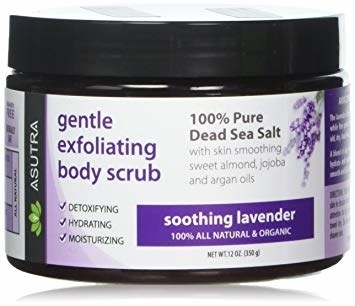 An organic lavender body scrub that'll moisturize with jojoba oil and gently remove dead skin. 3. An exfoliating towel to use in the shower for healthy and blemish-free skin. 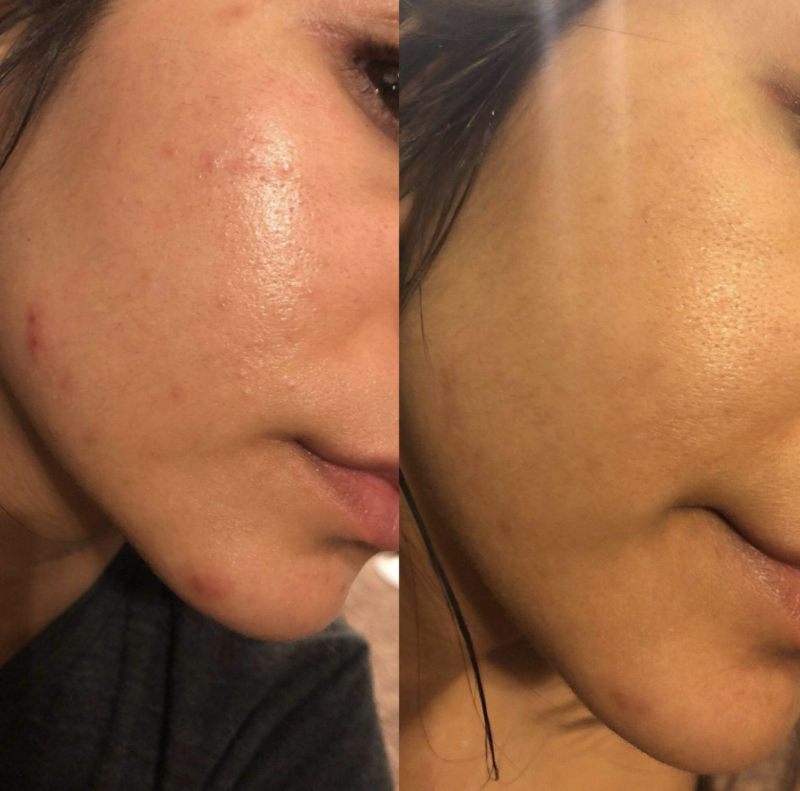 It can feel rough at first, but the results are totally worth it! And check out the exfoliating mitt washcloth! 4. Pumice stones for helping to smooth out rough, dry, and calloused feet. I have been using these since I moved to New York a few years ago. With all of the walking around the city, it's easy to develop rough feet. I didn't have the time or money to get frequent pedicures, so I bought these pumice bars and never looked back! Now, I use this every day in the shower and it truly keeps away the callouses. They come in a four pack which is perfect because you can switch them out when they start getting worn out and dirty. Plus, you don't want to use them longer than a few months at a time. These are a must-have for anyone who wants their feet to feel smooth just like a baby's! 5. 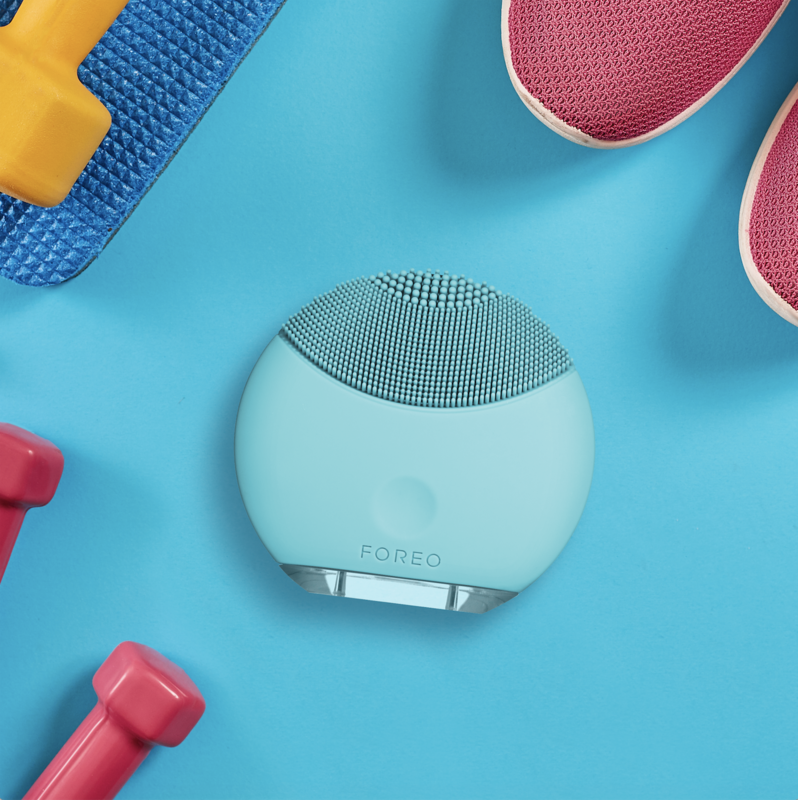 A waterproof facial cleansing brush to aid in clearing visibly clogged pores in order to advance skin's elasticity and collagen. 6. 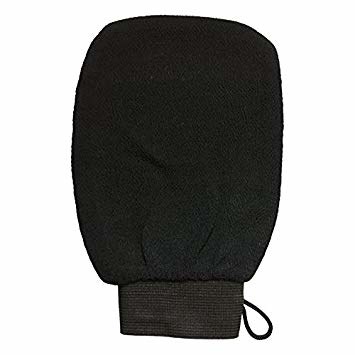 A padded scrubbing mitt with minerals for exfoliating your skin right before self-tanning — this will allow the skin to absorb the bronzer more smoothly without streaking. 7. 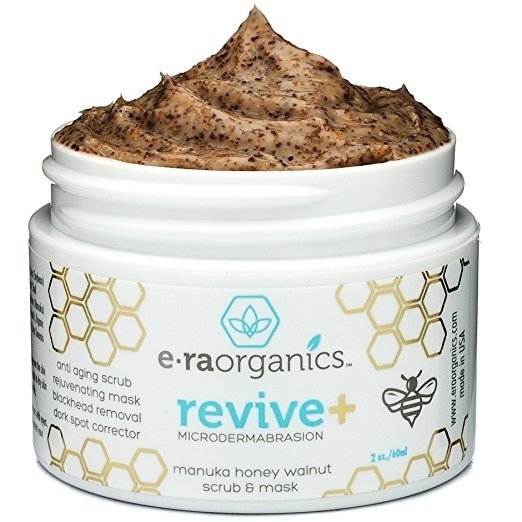 A manuka honey and walnut face scrub to gently remove dirt and oil without damaging your skin. 8. 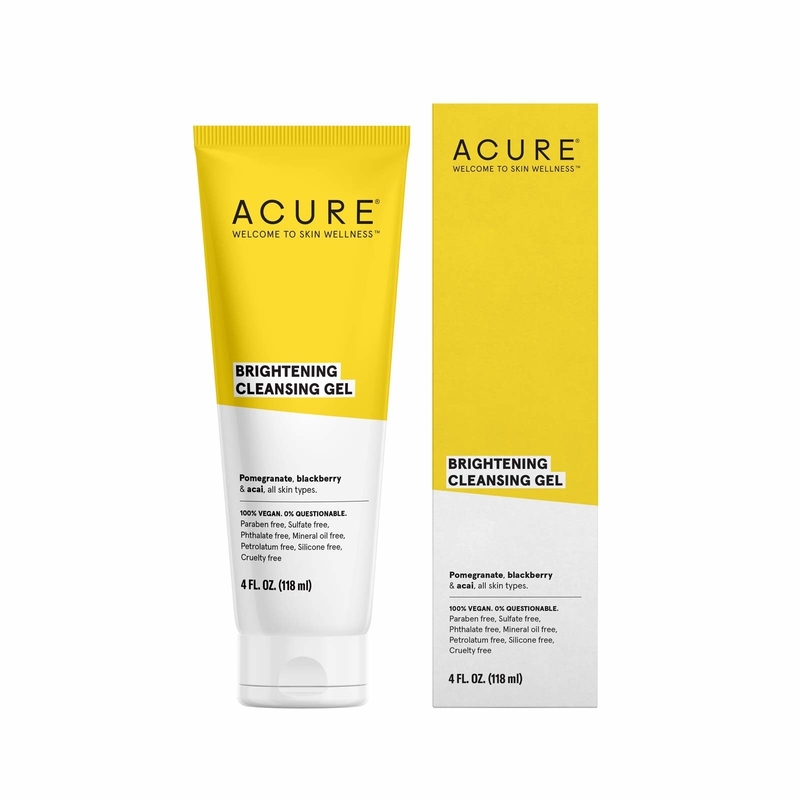 A brightening facial scrub that'll illuminate your complexion while exfoliating and help clear skin of acne and pimples. This product is vegan and cruelty-free. It's also formulated without sulfates and parabens. 9. Soft exfoliating gloves that are easy to use when you bathe. These can leave your skin feeling renewed and free of dead skin! 10. 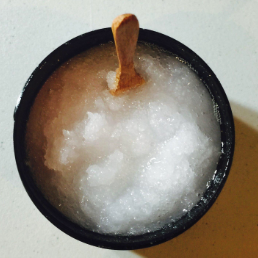 A tea tree exfoliating scrub with bamboo charcoal for your face and body. This scrub cleanses your skin of bacteria, oils, and dirt. 11. 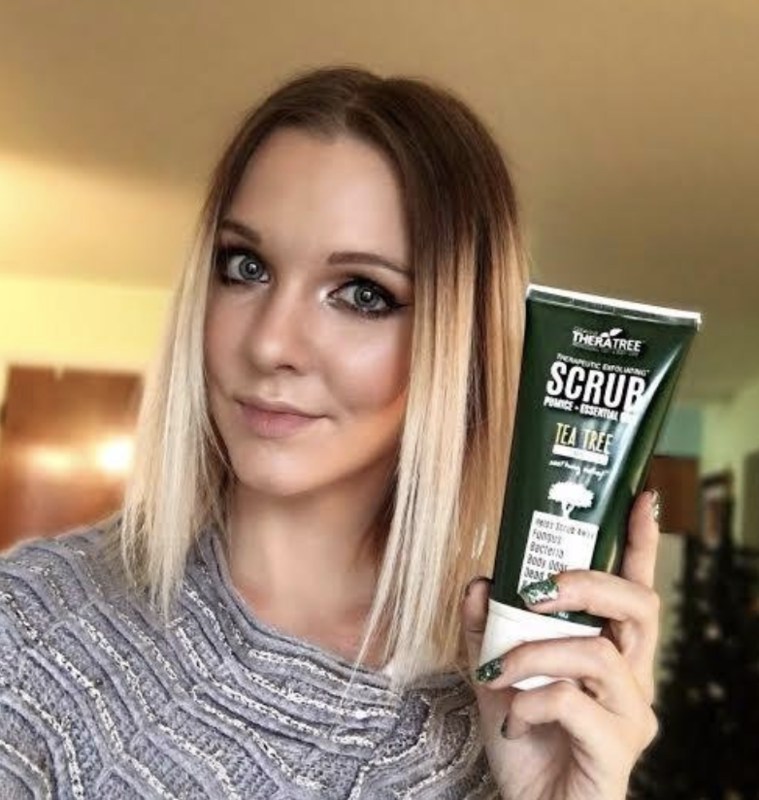 A coconut crush scrub with 100% pure coconut oil for your face and body to eliminate blemishes, reduce the appearance of pores, and moisturize skin. 12. A mimosa honey clarifying scalp treatment to gently exfoliate your scalp and remove dandruff and oil while simultaneously soothing your scalp. This product is free of parabens, artificial colors, and petrolatum! 13. 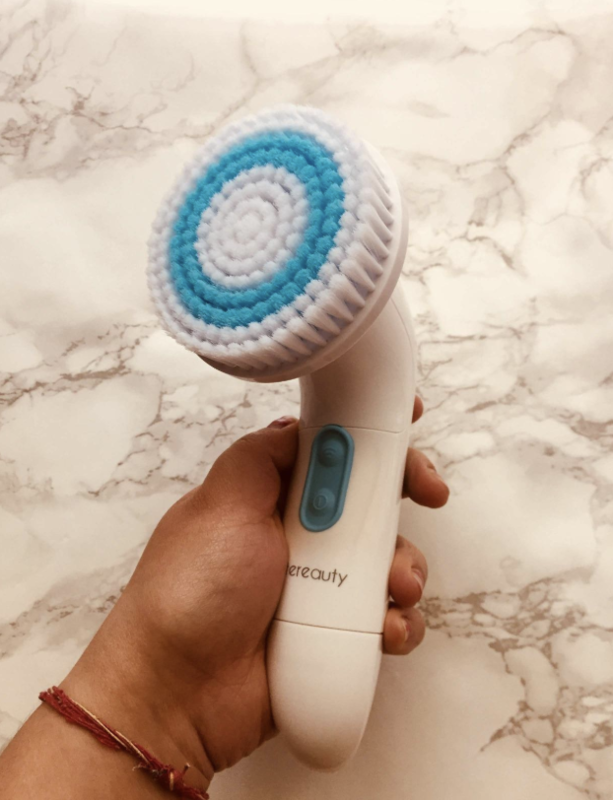 A dry brush body set with boar bristles created to improve blood circulation, reduce stretch marks, and eliminate clogged pores. 14. An activated charcoal scrub for your face and body said to remove impurities and detoxify your skin. 15. 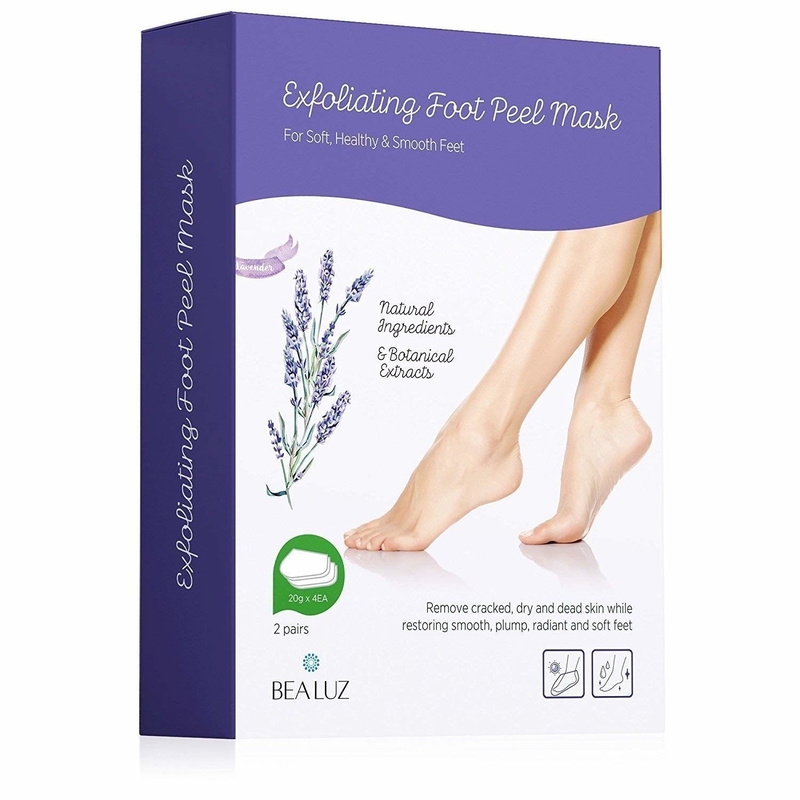 A foot peel exfoliating mask for easily stripping away dry and dead skin from your feet without your having to get a pedicure. 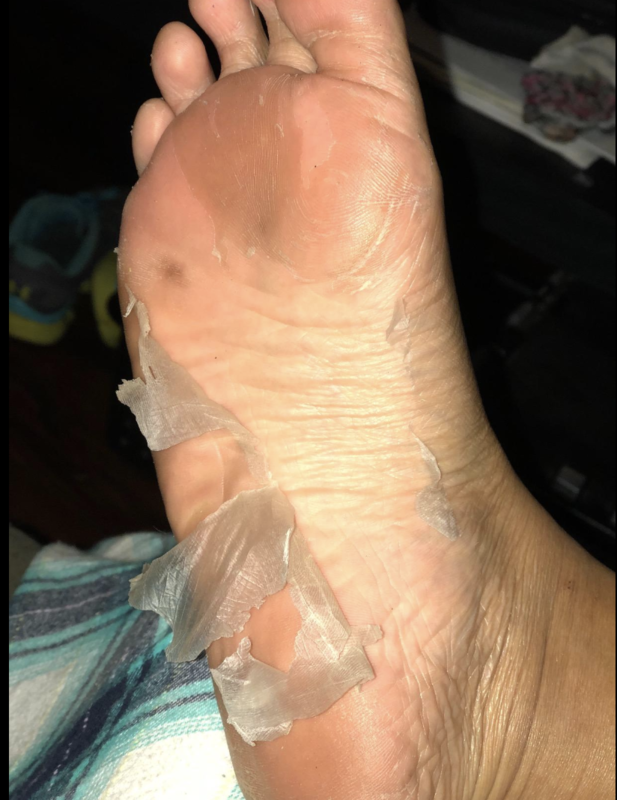 Also, check out the holy grail Baby Foot Peel for a higher price! 16. 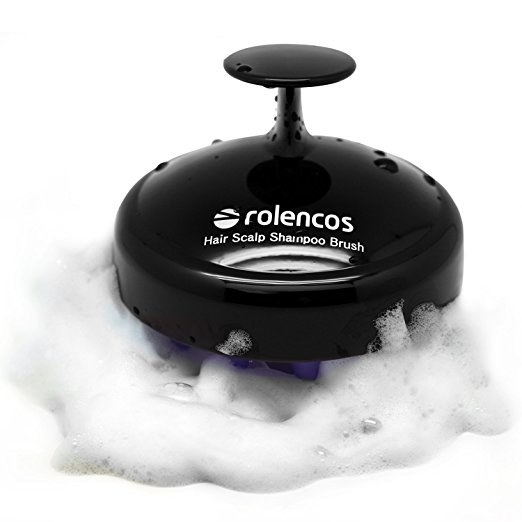 A shampoo scalp brush to get rid of flakes and stimulate hair follicles for stronger and healthier hair growth. Promising review: "Bought this on a whim, and a few reviews. I'm glad I did! 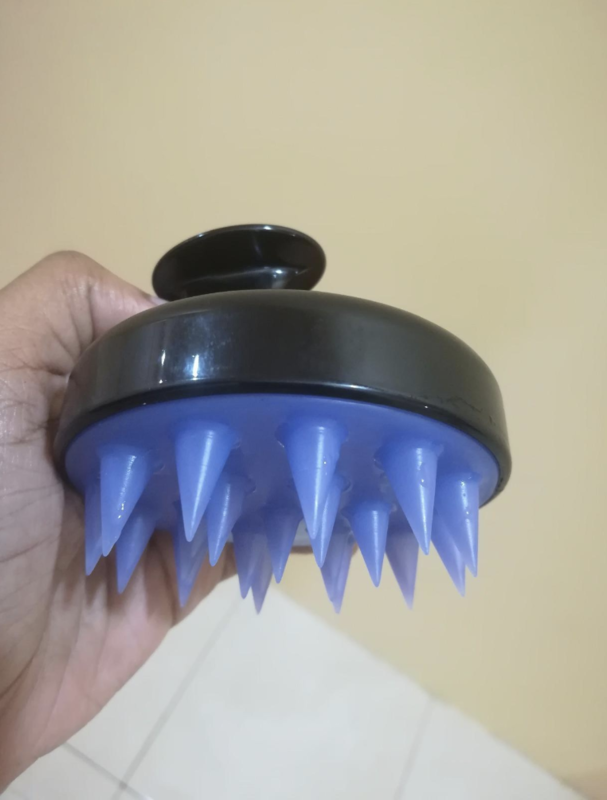 I never thought a silicone fingered scalp brush would be such a nice addition to my shower routine, but it definitely is! 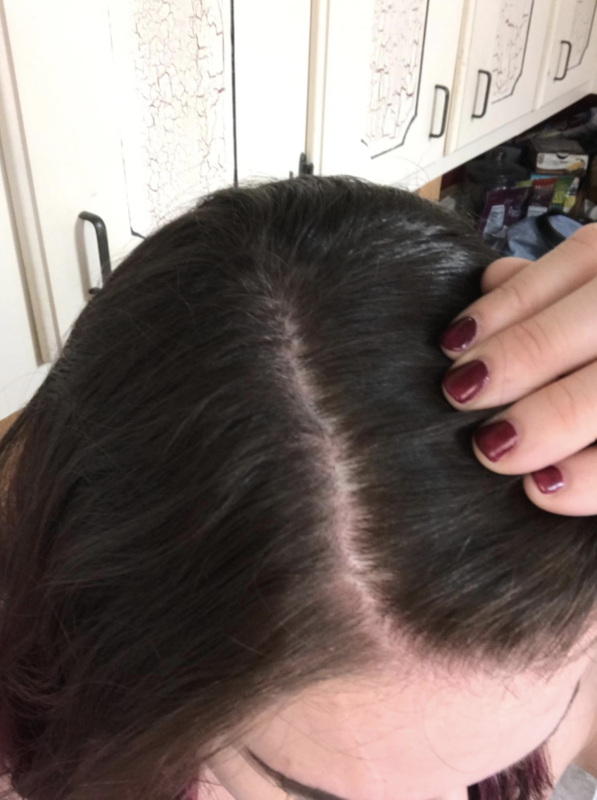 The silicone fingers seem to grip and massage the scalp instead of scratching it and the cleaning action seems to yield a far superior result without any of the discomforts. 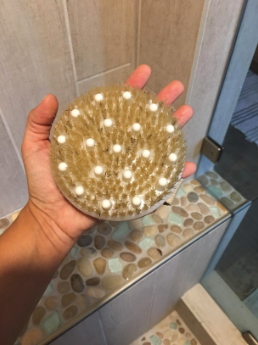 If you are not currently using a scalp brush, then treat yourself to a shower time upgrade, because it doesn't get better than this!" —T. F.
17. 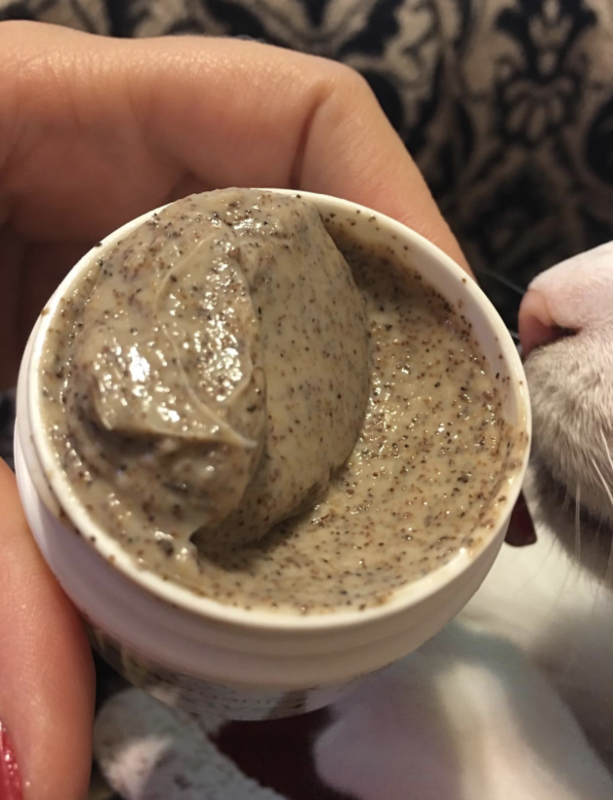 A smoothing oatmeal face scrub that'll gently exfoliate your face, smooth away dryness, and leave your skin feeling nourished and soft. 18. Micro-exfoliating wet cleansing cloths to softly exfoliate your skin while removing dirt, oil, makeup, and stubborn mascara. 19. 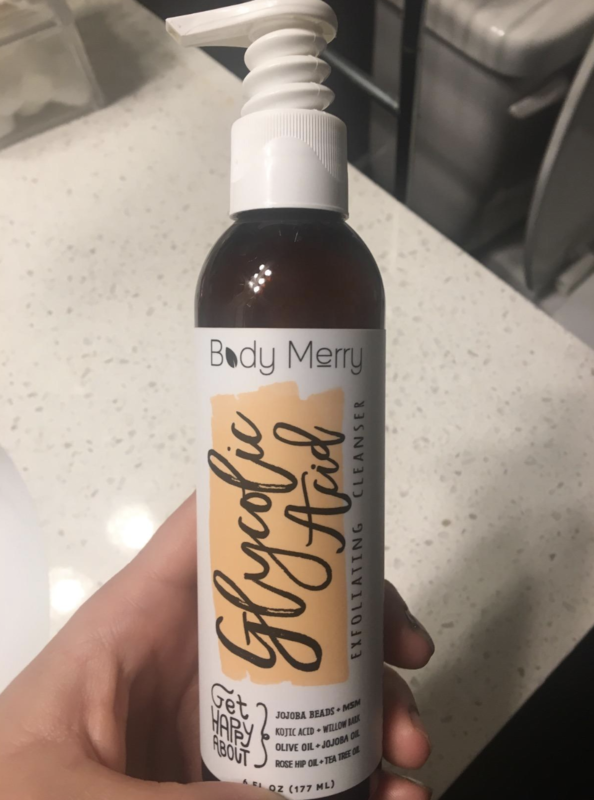 A glycolic acid exfoliating cleanser for penetrating your skin deep below the surface to remove oil, and help with acne scars. 20. 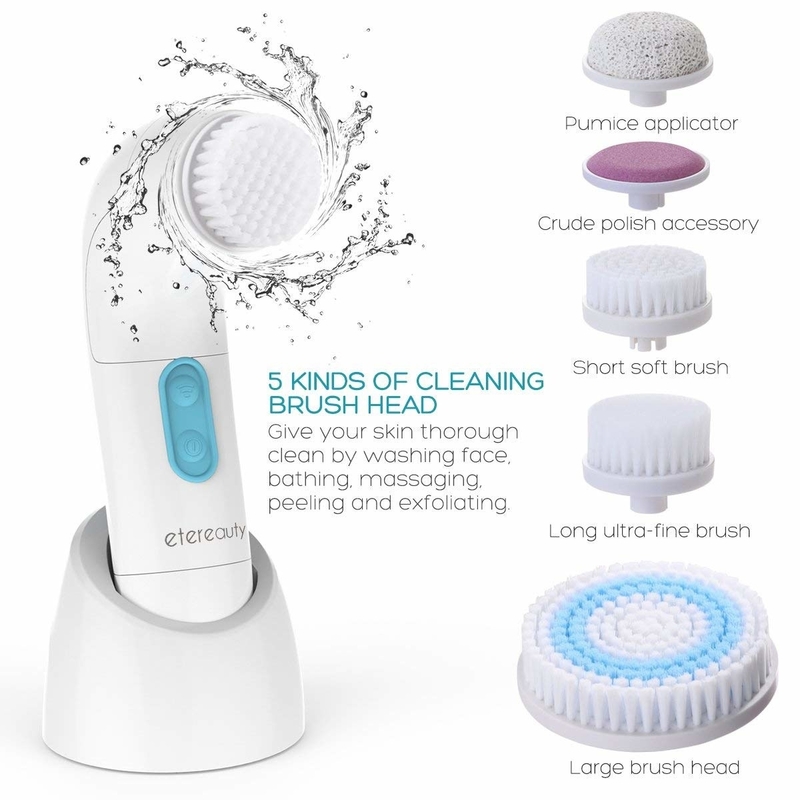 A small silicone bristled cleansing facial brush to improve texture while ridding your skin of dirt and oil. 21. A shea sugar scrub for helping to repair skin and improve elasticity and complexion, while also hydrating with antioxidants. Clear and vibrant skin here we come!